“Japan Fest 2017” was held at Pearl Continental Hotel, Karachi which was attended by leading political, business, cultural and diplomatic figures. The program was organized by Toshikazu Isomura, the Consulate-General of Japan in Karachi in connection with 65th anniversary of Pakistan-Japan diplomatic relations that started in 1952. Various cultural exhibitions were also presented including ikebana (Japanese art of floral arrangement) and after the event very impressive Japanese Tea Festival was also arranged on this occasion. The Japan Fest 2017 started with several presentations to give cultural and social images of Japan, which was followed by Cosplay contest and Japanese pop songs played by local Japanese cultural groups, “Shonen Infinity” and “Metal Seinen”. At the occasion, various activity booths were also set-up, showcasing cosplay and Yukata (a light cotton kimono) experiences, artworks and origami learning. The ambience was exquisitely decorated with Japanese floral artifacts of ikebana and bonsai displays, which were appreciated by the audience. 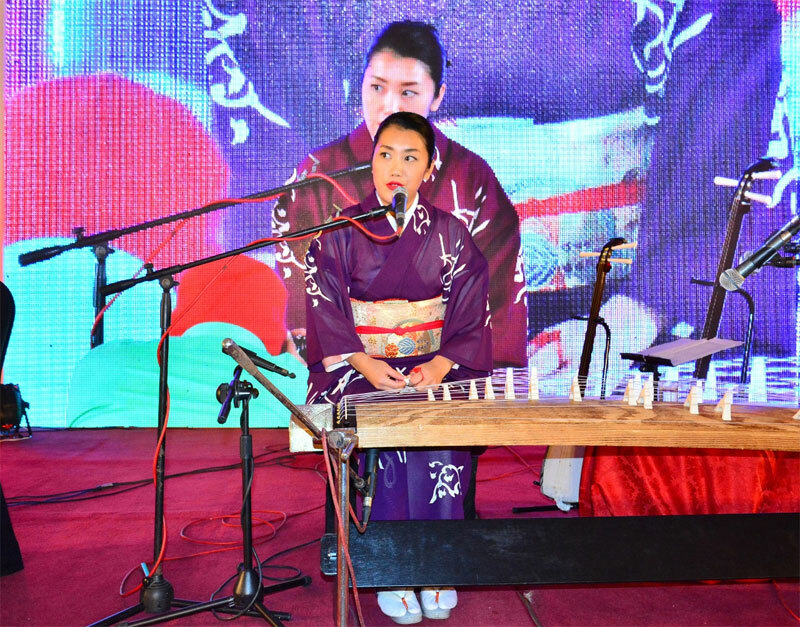 The event touched its peak with Koto and Shamisen performance by a Japanese artist, Ms. Kaneko Sumie who had been based in New York. The audience was captivated by the fascinating profundity of Japanese traditional music and memorable fusion of Japanese and Pakistani compositions. She along with Nafees Khan renowned Pakistani Sitar-Nawaz and Director NAPA and Japanese musicians performed her last item Damadam Mast Qalander, Ali da pehla number which was amazing and everyone in the hall become mast and clapped for artists. It was very nice performance by Japanese in a local language. Ms. Sumie Kaneko is an accomplished Koto and Shamisen player, Jazz singer and songwriter who had studied at prestigious Tokyo National University of Fine Arts and Music; and Barkley College of Music, and performed at Washington DC Jazz Festival; Carnegie Hall; Lincoln Centre; and Blue Note New York among others. She is widely acknowledged for her unique chromatic use of instruments and has collaborated with many renowned instrumentalists and international artists. At the end of the first phase of the program, Consul General of Japan in Karachi, Toshikazu Isomura presented the awarding ceremony for the winners of cosplay contest. In his speech, Toshikazu Isomura, the Consul-General of Japan in Karachi, mentioned about various aspects of Japan-Pakistan friendship and wished to further strengthen the existing cultural, economic and business ties between the two countries. 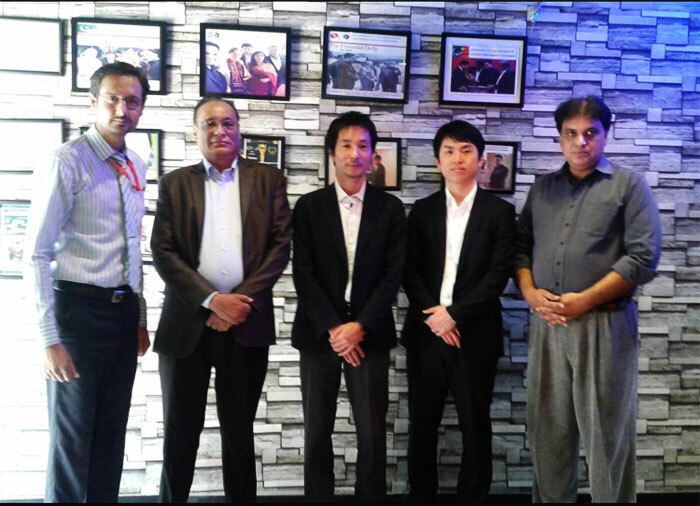 Dr. Nasir Ansar, Rector Gradsy (Ex-Director General Colleges Sindh), has invited Casio Japan delegation at Gradsy during the reported week. The delegation comprising of Tomoya Asanuma and Masahiro Fujiwara for future educational collaboration with Gradsy Institute. The delegation met with the Management of Gradsy. President Gradsy Abbas Abidi told the delegation that they are the only Institute in Pakistan which provide all theory subjects of MBA, BBA, CA with computer applications. Rector Gradsy gave detail presentation about Gradsy Educational Culture and Environment. 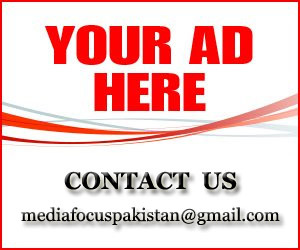 Kashif Head Academics said that Gradsy Institute is awarding Government degree which is acceptable in Pakistan and throughout world. 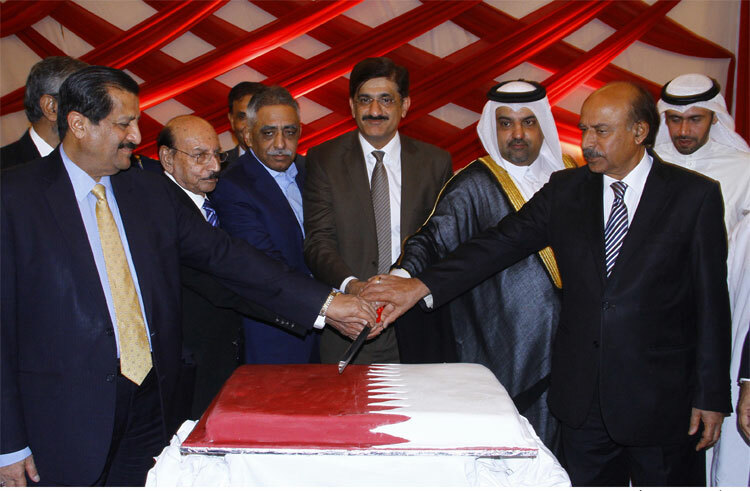 Consulate General of the State of Qatar in Karachi celebrated the Anniversary of the National Day State of Qatar for the accession of Sheikh Jassim bin Mohammed, the founder of the State of Qatar, to the rule of the country. The Consul General State of Qatar in Karachi Mishal Al Ansari hosted a reception on the occasion of the National Day State of Qatar at Movenpick hotel. 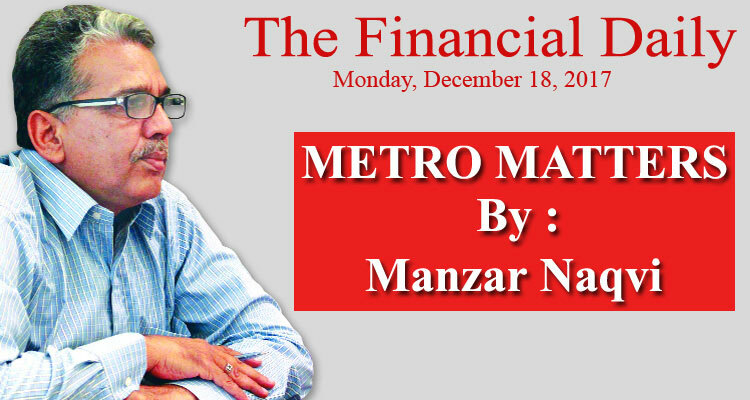 Sindh Chief Minister Syed Murad Ali Shah and Governor of Sindh Muhammad Zubair, Senior Minister Nisar Khoro, former Chief Minister of Sindh Syed Qaim Ali Shah, former Sindh Home Minister Dr. Zulfiqar Mirza, former speaker of the National Assembly Dr Fehmida Mirza, attended the event and extended their well wishes to the people of State of Qatar on the occasion. The event started with the national anthems of State of Qatar and Pakistan. Consul General State of Qatar said on this auspicious occasion that the existing economic cooperation & trade relations between the two brotherly nations was enhanced in recent years and hoped that in the coming days it will progress on unprecedented pace. He welcomed the business community of Pakistan to invest in various development projects in Qatar which shall contribute to the progress and prosperity of the state of Qatar.